Waiting on Wednesday is a weekly meme hosted by Jill over at her blog, Breaking the Spine. It's easy to participate in this meme--all you need to do is post the title(s) you're really really waiting to read. My pick for this week is the third and final book in another YA fantasy series I love. 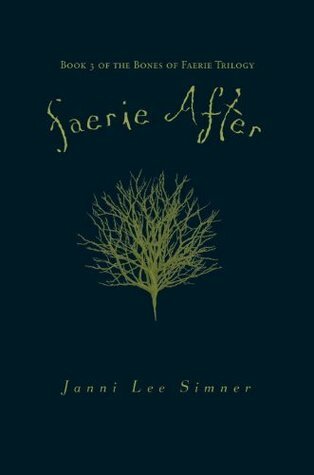 I liked Bones of Faerie (Book #1) and absolutely loved Faerie Winter (Book #2, my review) so I have high expectations the concluding book will be spectacular. 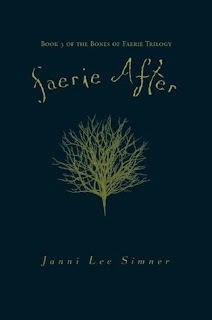 What else could Janni Lee Simner do? What's your WOW pick this week? I haven't heard of this series before. It sounds pretty fantastic though. All three are going on my TBR list. Please check out my WoW. Thanks! I need to get reading on this series. I love the covers, and the story sounds amazing!